When was the last time you attended a presentation and thought "That was fantastic! I really enjoyed listening to the speaker and learned something today"? It doesn't happen often enough, because most people who present give mediocre talks at best. But it shouldn't be like this. Presenting information or data, whether it be one on one to your boss, or at an international conference to an audience of thousands, is very much part of modern business and academic life. But such occasions are feared by most people, and even people who are outwardly confident in their work can fall apart at the podium and give the most mediocre presentations simply through anxiety, nervousness and lack of preparation. We have all watched great presenters in action and envied their talent for public speaking wishing we could do the same. What most people fail to realise is that these awe-inspiring presentation gurus suffer stage fright too but have overcome this through a variety of methods which are explored in this book. Central to their performance is a solid preparation for the event. Every slide has been designed with one aim in mind — to enhance their talk and emphasize their key messages. They have done their homework, put together a presentation with a clear beginning, middle and end, and have not tried to dazzle the audience with fancy irrelevant graphics and gimmicky effects. 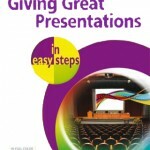 The best presenters will use fairly simple slides which serve to complement the spoken presentation. 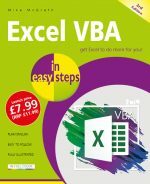 However, such techniques are not innate but are learned, and this book aims to show you that with effective preparation and good audiovisual aids your key messages will be presented with clarity. By keeping to time and answering questions smoothly, you can give an above-average presentation which will be memorable for the audience. The author has years of experience in this area. As a regular presenter at all types of meeting, he has made every mistake possible! He's crammed slides too full, disengaged from the audience, used distracting animations on his slides, and committed most sins as a presenter. Happily, he has learned from these and improved considerably, and in this book he helps the less confident presenter avoid the mistakes that most presenters make today. 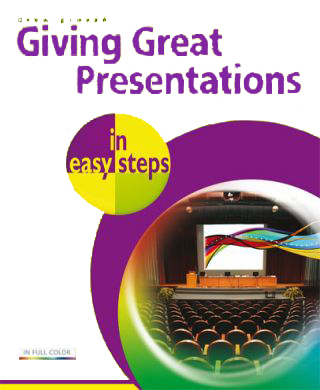 With patience and practice and using the guidance in this book you will soon be giving memorable presentations and become a real asset to your organization! Or if you're just planning to talk to a small group of enthusiasts at a local club this book will help you there, too! "This has to be one of the better presentation skills books out there, not because it says anything new or radically different than the rest of the books but because of the way it puts the information together and delivers it to you. There are a lot of presentation skills and public speaking books out there that are all text, black and white, with little or no pictures, they're not fun to read. This book is bright and colourful, filled with illustrations and covers everything you need to bring you from being a mere speaker to becoming a great speaker."